BEIJING — Officials in Beijing have announced a new environmental police squad to root out illegal burning in the city, the latest government response to the widespread public anger over China's persistent problems with smog. Beijing's acting mayor, Cai Qi, said at a meeting Saturday that the force would target open-air barbecues, garbage incineration and the burning of wood and other biomass, according to China's official Xinhua News Agency. Cai announced several other measures, including a target of cutting the use of coal by 30 percent in 2017, and shutting down 500 higher-polluting factories and upgrading 2,500 more. About 300,000 high-pollution vehicles will also be restricted from entering the capital starting next month, he said. 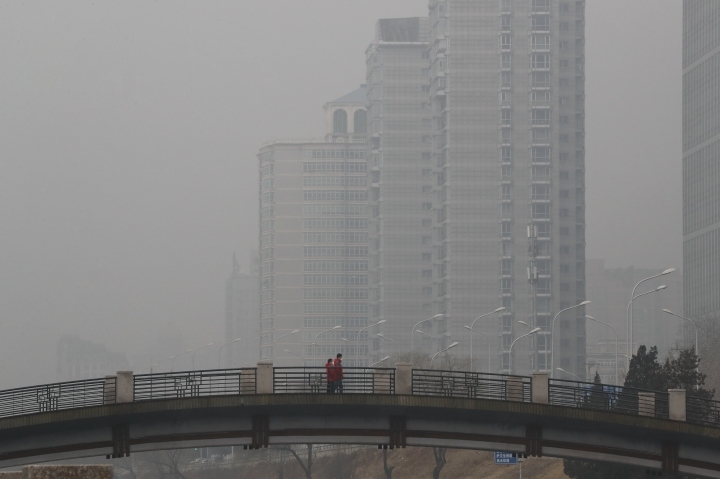 Beijing and dozens of cities in China spend many winter days under a thick, gray haze, with air pollution levels that routinely exceed World Health Organization guidelines. Last week, more than 20 cities were on "red alert," the highest warning level in China's four-tiered system, while Beijing was on the second-highest "orange alert." Smog is an acutely felt issue in China's cities, where a red alert can lead to the closure of schools and businesses, flight cancellations, and shutdowns of highways to keep cars off the roads. During a red alert in Beijing last month, authorities banned construction crews from spray-painting and even seized the charcoal grills from some restaurants. But enforcement remains an issue. 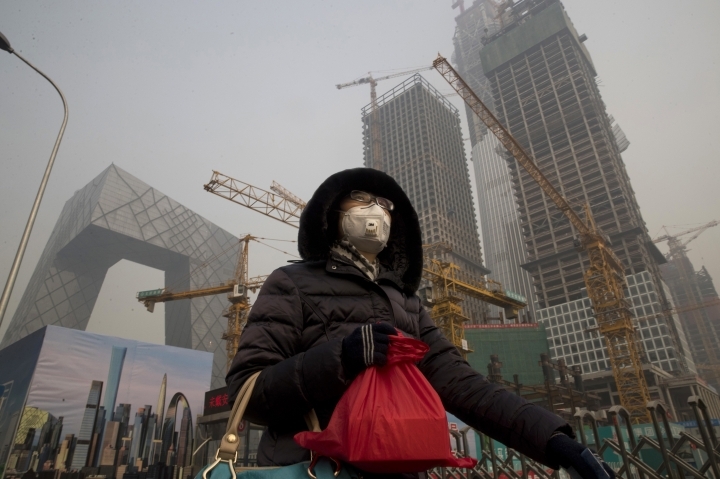 China's environmental ministry said during last week's red alert that its inspection teams found companies resuming production despite a government ban. Many factories remain under severe pressure to meet production targets regardless of air pollution. Cai on Saturday blamed polluting activities like burning garbage or wood on "the result of lax supervision and weak law enforcement." But China's pollution is caused chiefly by its thousands of coal-burning factories and a surplus of older, inefficient vehicles. While it tries to answer the loud public calls to tamp down on pollution, the Communist government is also grappling with an economic slowdown and the challenge of maintaining growth. China is also the world's largest producer and consumer of coal, and measures like capping production days or shutting down older coal mines run the risk of driving up energy prices and further slowing the economy.